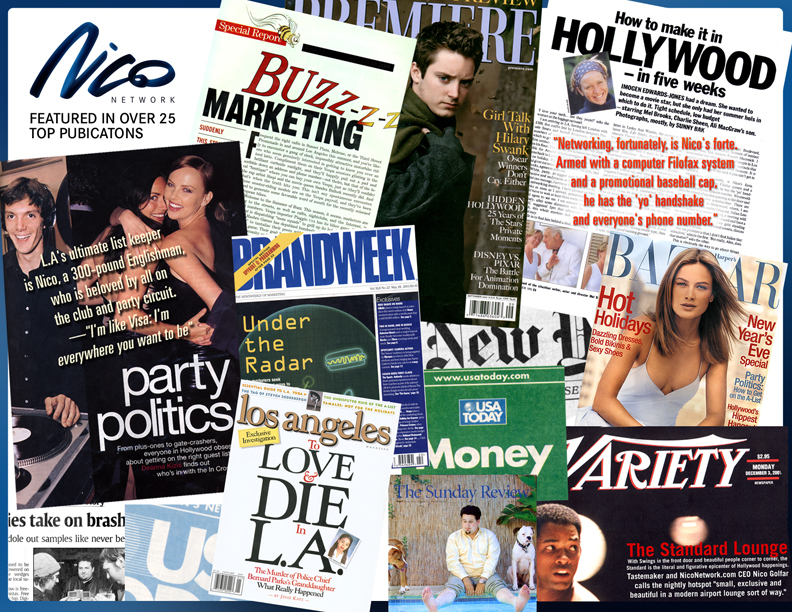 Featured in FORBES, The New York Times, Los Angeles Magazine, USA Today, Daily Variety, Fast Company, KTLA-LA, The Independent (UK), BBC (UK), Channel 4 (UK) and Brand Week, Nico is known for his ability to connect and activate his elite database of resources to opportunities. 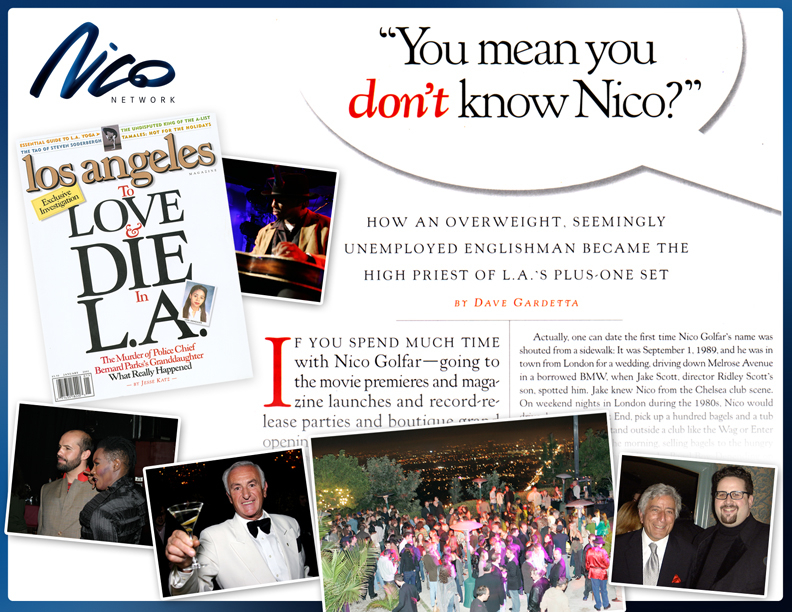 Dubbed ‘The Dream Weaver’, by Forbes Magazine, Nico Golfar is the man with a plan and platinum-key access to the elite lifestyle in the fickle, but fabulous, playground of California. Nico Golfar is the CEO & Founder of Nico Network, which simply-put is a consultancy-based boutique entertainment and event-marketing agency with a decades of experience in developing creative ideas, building brands, staging disruptive marketing and generating experiential strategies. The creativity does not stop there, as those in the know also benefit from his unique tailored destination management solutions and events for the rich and famous. Nico’s is a full-service company, with a powerful database and a finger on the pulse – just like having a genie in an oil lamp that can make dreams and desires a reality. “Our success is achieved by exploring and developing clear communications strategies, leveraging connections, while bringing together the best assembly of collaborating experts to execute custom-designed programs, events and solutions,” he assures with a telling smile. Having a memorable trip to L.A. is really about whom you know. Whether you want have Entourage-style nights, experience the best of the best with your closest friends, celebrate your birthday with a private performance by your favorite rock star or hop on a helicopter to an exquisite surfing break, there is only one man to call in this sprawling town of hush-hush elite parties and secret handshakes — Nico Golfar.